Calibration rings provide quick, acurate depth determination. Available in single-ended plugger or spreader and double-ended plugger/spreader combination. ISO sizing and tapering virtually eliminate binding and allow deeper penetration for a better apical seal. 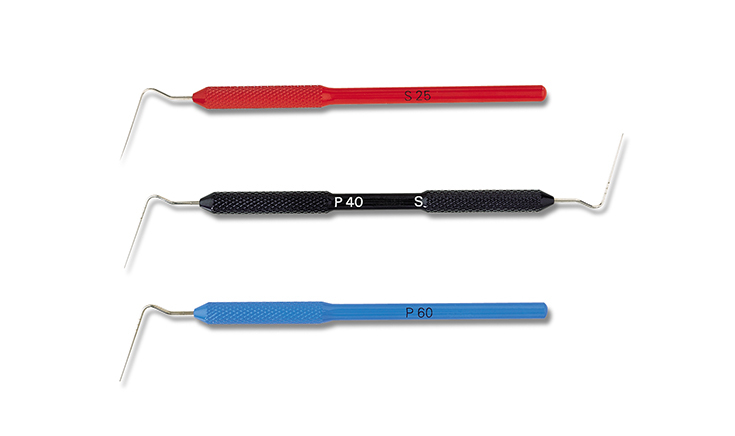 These patented instruments are ergonomically balanced for easy manipulation of curved canals, ISO color coded, and available in either a single-ended or double-ended spreader/plugger combination.